Orchids are the flowers which conveys charm, beauty and refinement. This beautiful flowers when presented to a person can wholly display lot of goodness. 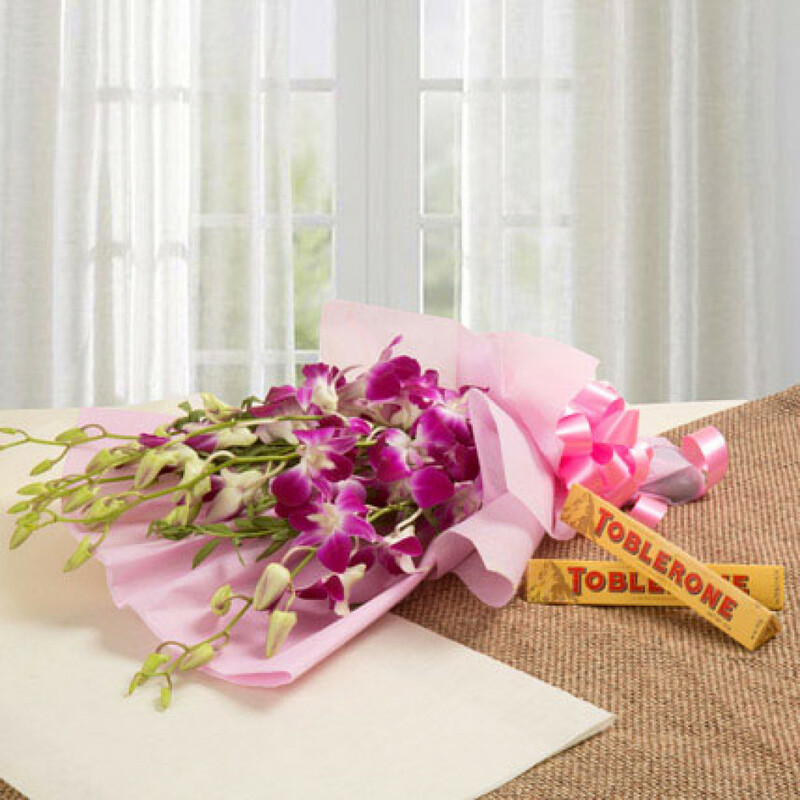 Yummy Toblerone paired with this bouquet is sure to add fun and frolic to any event. Your loved ones is sure to savor its taste.